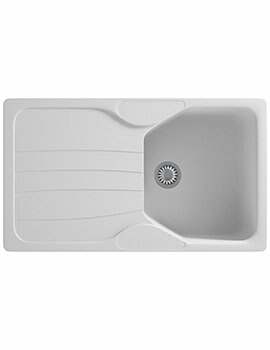 With its white finish and universal size, the Franke Calypso Kitchen Sink Accessory Pack is the perfect accessory for most kitchens. This kit includes both a strainer bowl and a drainer basket that makes it easier for you to get your work done. The drainer basket is made out of heavy-duty wire that will not rust or corrode. The drainer measures 177 millimetres by 314 millimetres, while the size of the strainer is 165 millimetres by 306 millimetres. Use these to rinse and wash your foods and enjoy the anti-slip feet that keeps them in place. Half bowl strainer - Easy for rinsing and washing foods. 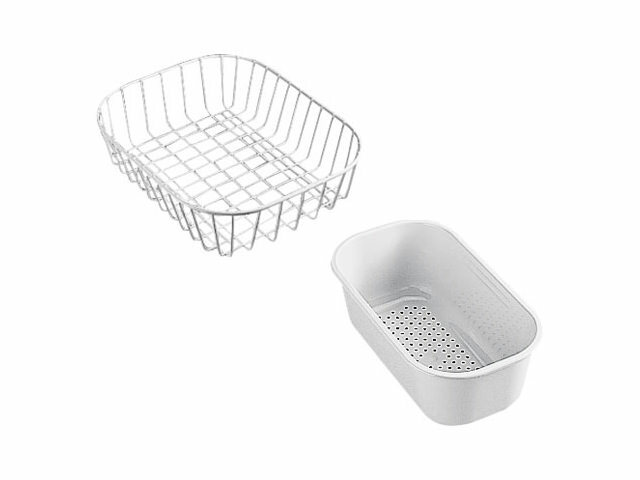 Do you do the Franke Calypso Kitchen Sink Accessory Pack (drainer basket & strainer bowl) in Stainless Steel? Unfortunately, this set is not available in stainless steel. The dimensions for the smaller bowl strainer is 165 x 306mm. 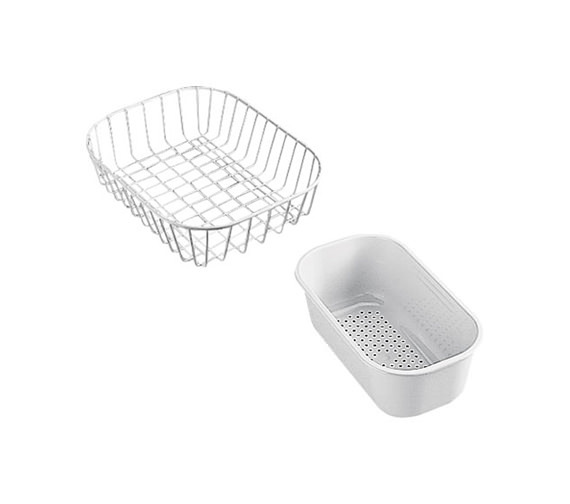 The dimensions for the larger bowl drainer is 177 x 314mm and the smaller bowl strainer is 165 x 306mm. What are the dimensions for this sink drainer? 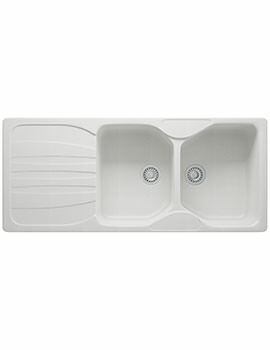 The dimensions detail from Franke, Overall Length: 177mm and Overall Width: 314mm. Do you have thus set in brown? Hi Letitia, Thanks for your query. 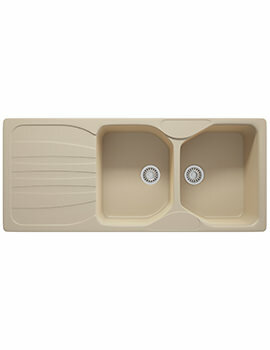 This accessory pack in the brown finish is discontinued by Franke.